Blog The History of Roses: Why Are They So Romantic? The History of Roses: Why Are They So Romantic? We always consider roses to be a symbol of love and affection. There might not be a clearer representation of love than red roses, but where did it all begin? Did we just one day decide that roses are a symbol for love? The history of roses is actually quite interesting and begins many centuries ago. Roses are always great for flower arrangements North Salem, NY, so give Bedford Village Flower Shoppe a call if you are looking for amazing quality at great prices. One of the first recorded instances of roses representing love comes from ancient Greek Mythology. Aphrodite, the Goddess of Love, walked through a garden of roses that had been shot with an arrow by Cupid. The roses had grown thorns thanks to Cupid’s arrow. Aphrodite pricked her thorn on a rose and her blood turned roses red. It’s an interesting story that might be the reason why people started considering roses to be romanticized. Roses were known to be a symbol of desire and secrecy in Roman mythology. Romans would reportedly put roses in their bedrooms to represent the love and beauty that Venus was known for. Their pleasant smelling fragrance graced many Romans’ rooms and continued adding to the love and desire meaning behind roses. In the Christian religion, the rose was actually a symbol for the Virgin Mary. She is often referred to as the “rose without thorns”. Even the word rosary is derived from roses and is symbolized by a garland of roses. Roses symbolize purity and faith in the Christian religion and have popped up various times throughout history in this context. Shakespeare famously used roses in his poetry and the story of Romeo and Juliet as a metaphor for romance beauty. The symbolic meaning of roses has made it into modern times, where now we give roses to represent love, passion, and beauty. There really isn’t a more affectionate gesture than buying the person you love a beautiful bouquet of fresh roses. 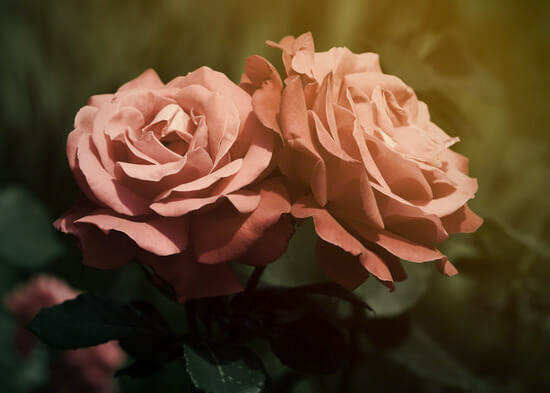 We hope this brief history of how roses have come to symbolize love was an interesting read for you! If you are looking to buy roses or flower delivery in North Salem, NY, look no further than Bedford Village Flower Shoppe.